Come check out the newest hottest experience for a Day Pool Party in Vegas at JEMMA Pool. 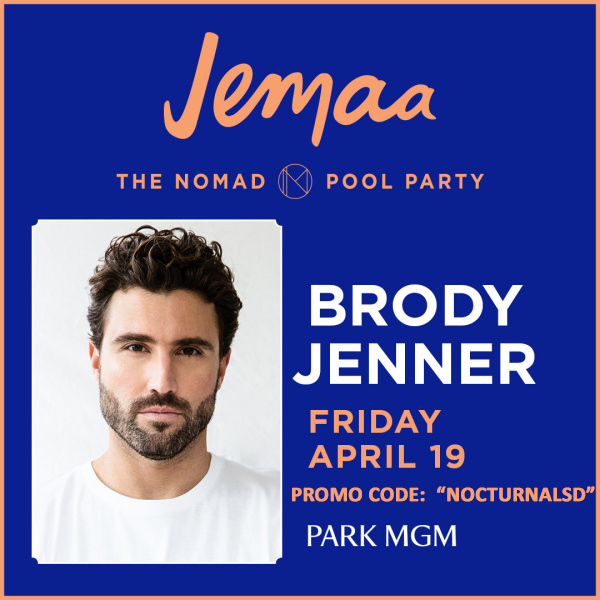 Located at the newly renovated Park MGM, JEMMA Pool Vegas The Nomad Pool Party is the latest popular spot to soak in the sun. Featuring renowned artists and DJs, cocktail explosions the NoMad Bar is renowned for, and whimsical poolside plates. 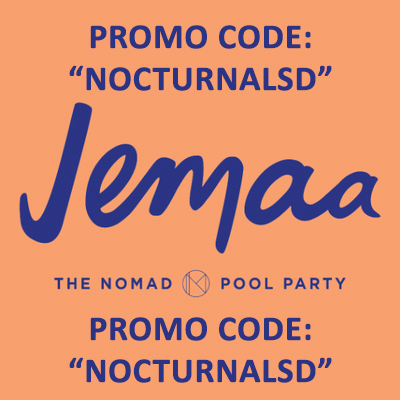 Experience it all with your JEMAA Pool Vegas Promo Code Discount “NOCTURNALSD” for all the Pool Party Events. 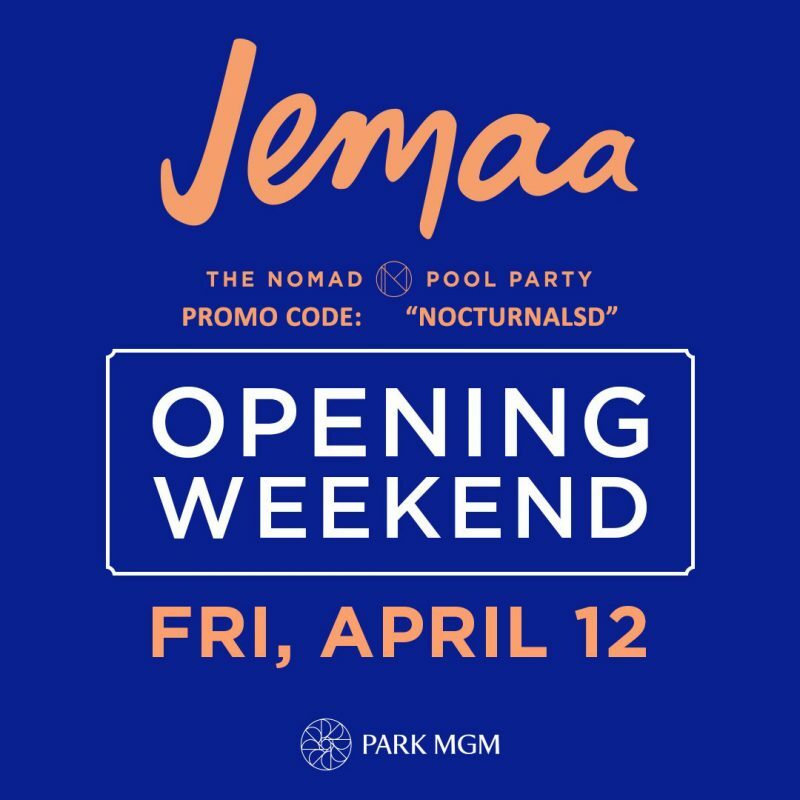 Combining NoMad’s trademark style and luxurious guest experience with an energized and fun daytime party atmosphere, the seductive JEMAA weekend pool party kicks off Fridays. JEMAA embraces the escapism of Las Vegas’ pool scene, with a nuanced tone and personalized touches at every turn. Nomad guests enjoy complimentary entry before afternoon.